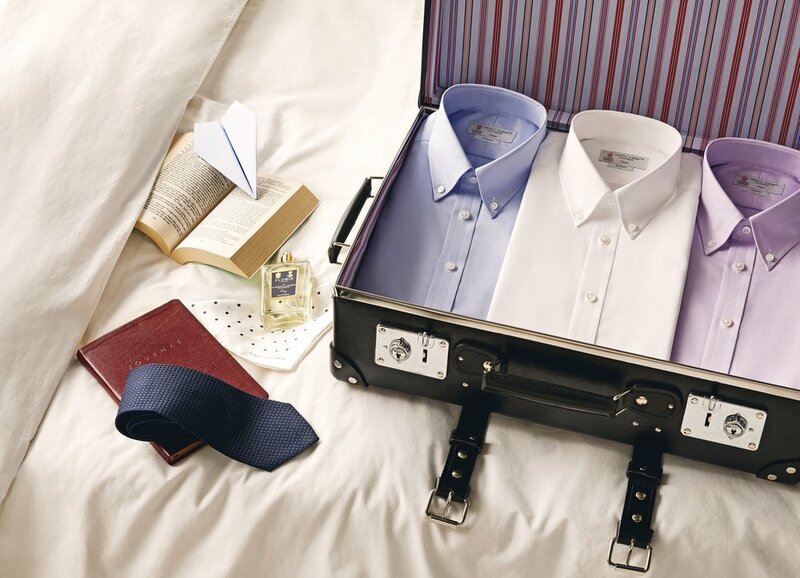 Turnbull & Asser have solved your first world, Monday morning creased shirt on the tube problems, with a new collection of crease-resistant shirts. Designed for the man on then go, the Journey Shirt collection is a range of luxury business shirts made in collaboration with esteemed mill Thomas Mason. Comprising of 11 pieces, the sophisticated collection features 4 varieties (traditional Twill, twill 2-Fold 100, linen and Oxford), perfect for travel between meetings (boring), cities (necessary) and countries (fun). The versatile shirts are available in an assortment of white, pink, lilac and blue as well as rakish patterns of checks and stripes. The simple and elegant collection proves that travelling in style does not need to be hard work and can see you looking your best all day, without having to compromise on quality and fabrics. From £195 and available in store and online at Turnbull & Asser.